Read Sugarloaf's Interview with Thomas! 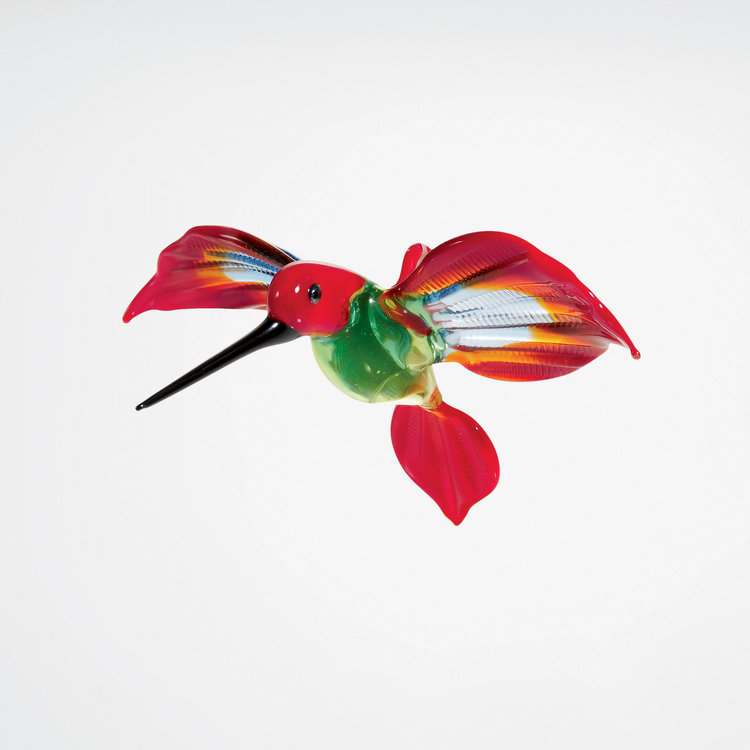 Thomas von Koch started WGK Glass Art in Germany in 1982 when he was just 25 years old. What he lacked in business acumen, he more than made up for in artistic talent. Originally a lampworker, he expanded his portfolio to include vases and tea light candle holders. Later in his career, he used nature to inspire his work, and today he creates everything from exotic birds and sea life to spiders and bats. WGK Glass Art is a collective that includes John Zinner, Sandra Jahn and Anja Stotzer. The four work together to create one-of-a-kind pieces bursting with vibrant colors and unmatched detail. In addition to animal sculptures, WGK offers handmade jewelry, beautiful sun catchers and tabletop items like jam jars and oil and vinegar bottles. Stop by WGK’s booth for a close-up view of their talented work.